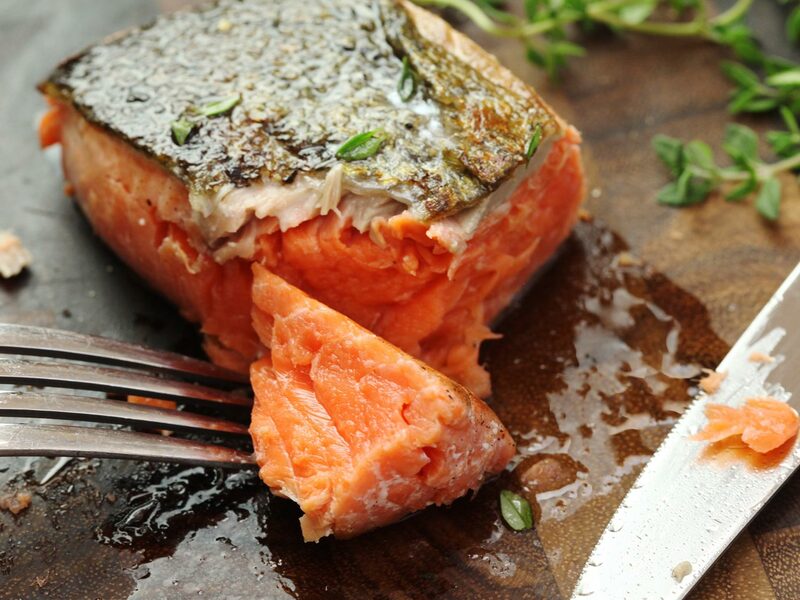 Salmon is considered among the foods which are good for the heart. 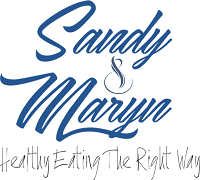 Studies show that eating at least two servings of Salmon a week reduces the risk of heart disease, particularly sudden cardiac death.Salmon contains unsaturated fats called omega-3 fatty acids. Omega-3 fatty acids help reduce inflammation throughout the body. 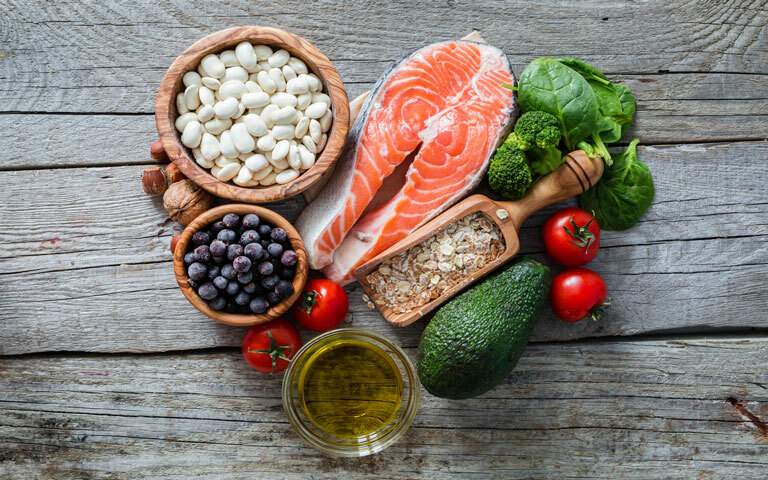 Inflammation in the body can damage your blood vessels and lead to heart disease and strokes.Omega-3 fatty acids may also decrease triglycerides, lower blood pressure slightly, reduce blood clotting, decrease stroke and heart failure risk and reduce irregular heartbeats. 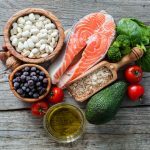 Aside from Salmon, other fatty fish such as tuna, sardines, lake trout, mackerel, and herring contain the most omega-3 fatty acids. Several studies have now shown that dark chocolate may benefit your heart. 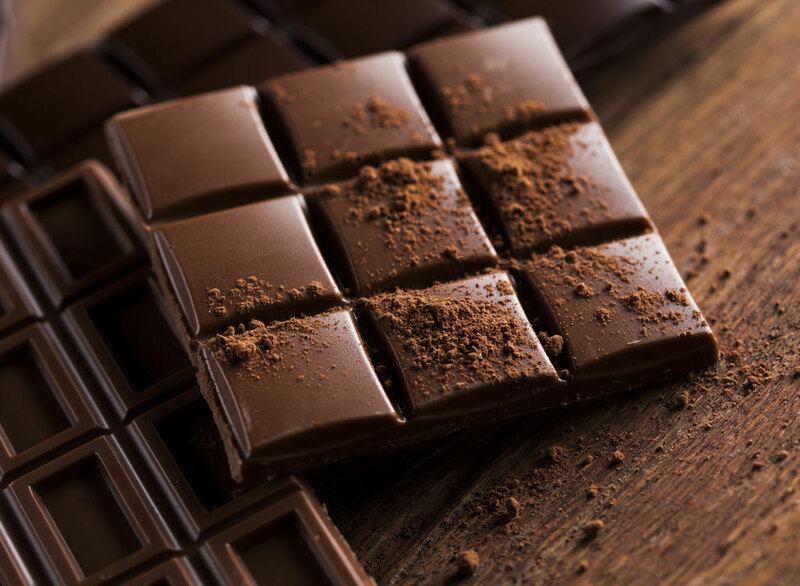 It has been found that eating dark chocolate helps to lower your blood pressure naturally.In addition, people who eat more dark chocolate have lower rates of heart attacks, heart failure, and even death from heart disease.This is because dark chocolate is made from cocoa bean which is rich in a class of plant nutrients called flavonoids. Flavonoids help protect plants from environmental toxins and help repair the damage. When you eat foods rich in flavonoids, such as dark chocolate, you also benefit from its antioxidant power.Dark chocolate contains flavonoids called polyphenols, which may help blood pressure, clotting, and inflammation. Just be sure that your chocolate contains at least 70 percent cocoa. 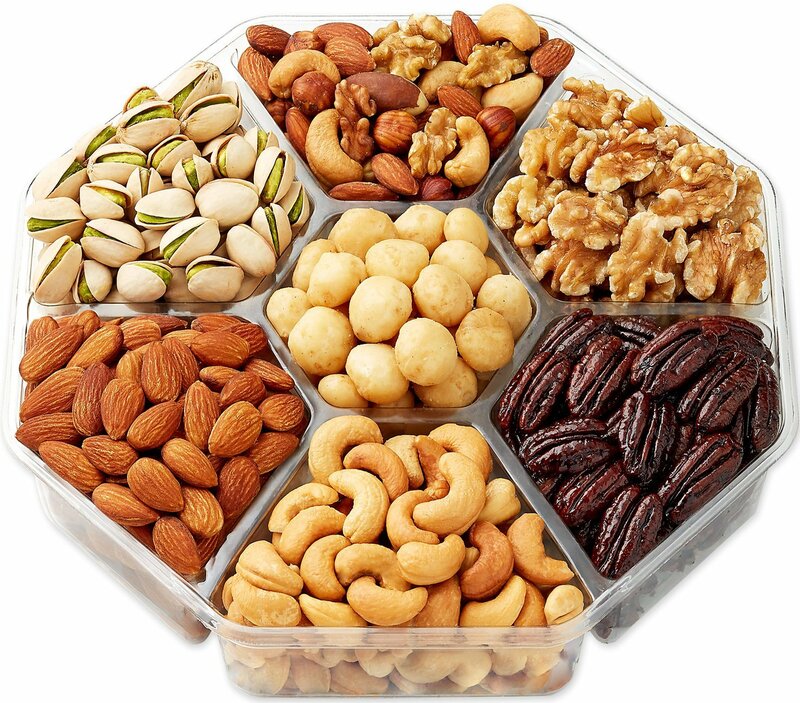 Nuts contain unsaturated fatty acids and other nutrients which are found to be good for your heart. Bad cholesterol plays a major role in the development of plaque that builds up in the blood vessels. Nuts like almonds, walnuts, pistachios, peanuts and macadamia nuts contain vitamin E, which helps lower bad cholesterol. Eating nuts may also reduce your risk of developing blood clots that can cause a fatal heart attack. They also help lower levels of inflammation linked to heart disease. The best approach to eating nuts should be in moderation. 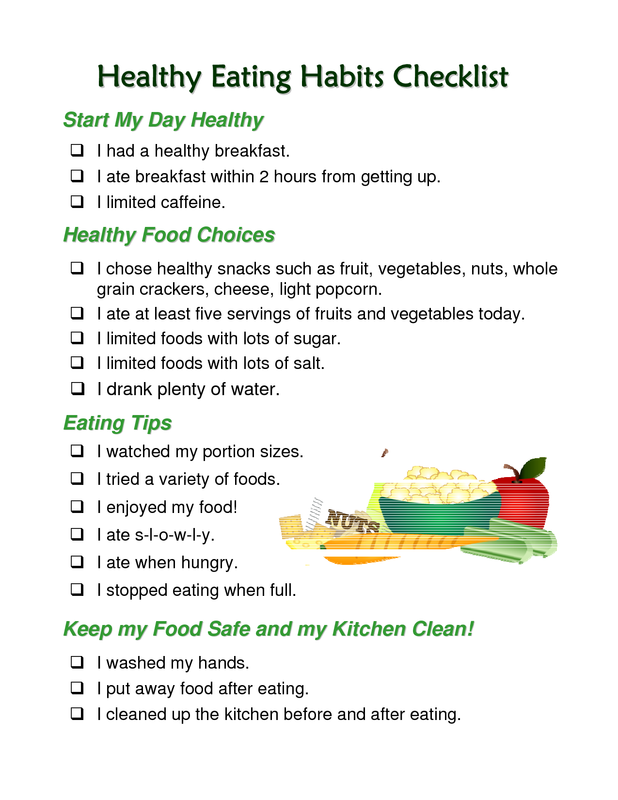 Since they are very good sources of energy, eating too much can make you gain weight and offset the heart benefits. Potatoes contain high levels of vitamins, minerals, and other nutrients that can strengthen and protect your heart. High blood pressure can increase the risk of congestive heart failure and stroke. 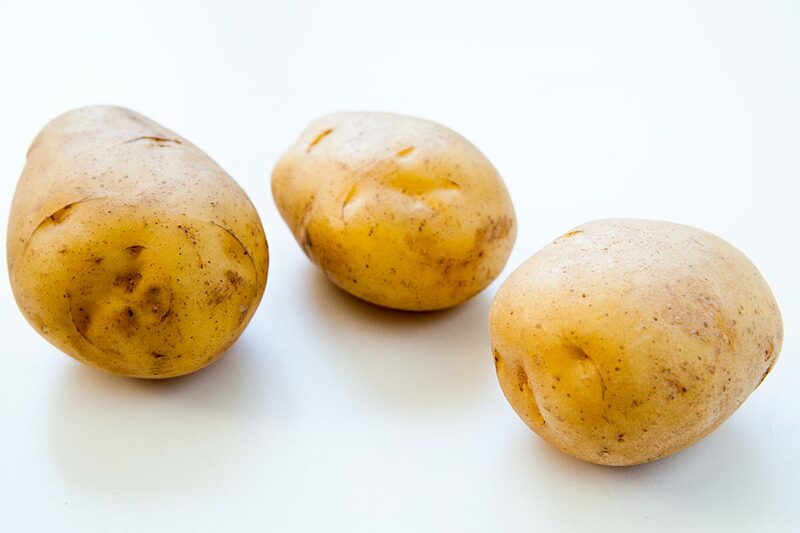 A study suggests that a couple of servings of potatoes per day can lower blood pressure as much as oatmeal without causing weight gain. This is because potatoes are high in potassium and low in sodium. As long as they are not deep-fried, potatoes can be good for your heart. Including potatoes in your diet will significantly reduce the risk of heart-related illnesses. Legumes such as beans, lentils, and peas are an excellent source of protein without a lot of unhealthy fat. Eating legumes as part of a heart-healthy diet and lifestyle may help lower bad cholesterol which is the leading cause of heart diseases. One study found that people who ate legumes at least four times a week had a 22% lower risk of heart disease compared with those who consumed them less than once a week. 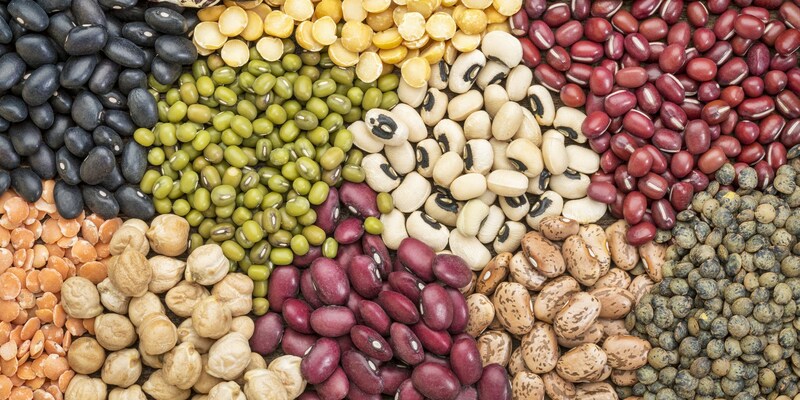 Legumes are also full of fiber and have a low glycaemic index (GI) which means they can help you feel full for longer. They can also be a useful source of iron, and zinc. Let's us take the stress out of your meal planning with healthy farm to table options! The expression Laissez les bons temps rouler (alternatively Laissez le bon temps rouler, Laisser les bons temps rouler and Laisser le bon temps rouler, French pronunciation: ​[lɛse le bɔ̃ tɑ̃ ʁule]) is a Cajun French phrase that is literally translated from the English expression "Let the good times roll." Did you know our #eastcoastroux is ship able!